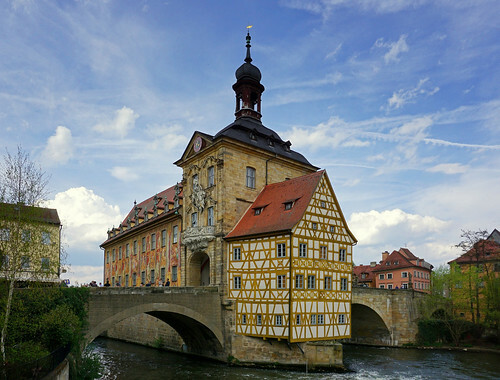 The Old Town Hall (Altes Rathaus) of Bamberg, Germany not only has beautiful architecture but it is also unique as it has been built over two bridges. The reason for siting the town hall at such a location was dispute between citizens and the bishop of the town. 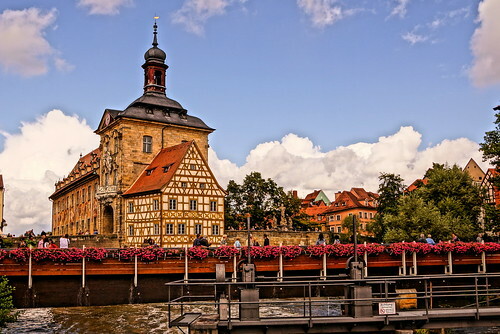 The bishop who owned most of land in the town didn't allow town hall to be built of his lands, so the mayor decided to create an artificial island in the River Regnitz and constructing the the town hall on the two bridges and the artificially created island. These two bridges namely Obere brücke (Upper bridge) and Untere brücke (Lower bridge) were not owned by the bishop. 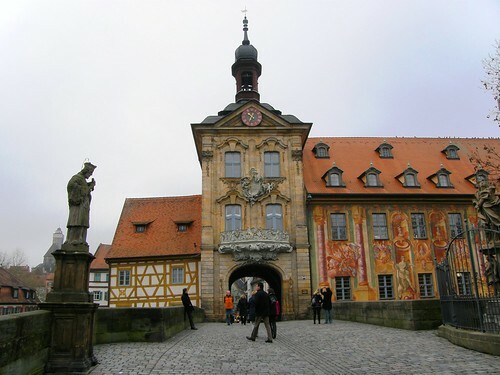 The original town hall built in the period between years 1461 and 1467 and its design was mainly influenced by the Gothic architecture. In years 1744 to 1756 its exterior was modified to Baroque/Rococo styles and in the year 1755 paintings were added to its facade. 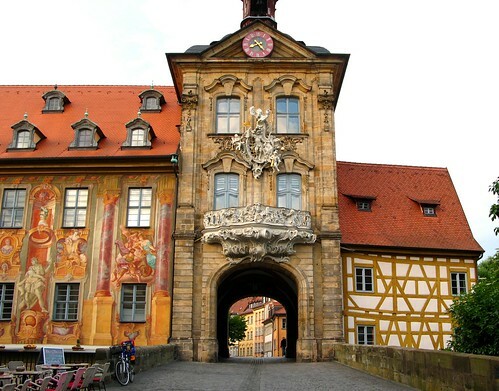 The eye-catching half-timbered extension over the Upper bridge was added in 1688 for use as the residence of the Corporal of the guards (Rottmeisterhäuschen). 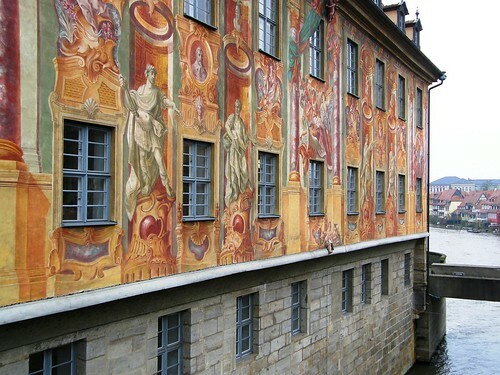 The town hall now houses Ludwig Collection - one of the largest collections of porcelain in Europe.